Florida Community Health Centers (FCHC - http://www.fchcinc.org ) has received Okeechobee County's approval to build the first phase of the Fred D. Brown Children’s Health Center in Okeechobee, Florida. FCHC will provide pediatric medical and dental services in the 20,000-square-foot project, to be located across the street from Raulerson Hospital. The project is slated for completion in late 2010. FCHC selected The Greenfield Group to develop the project. 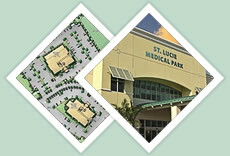 FCHC and Greenfield worked together previously at Greenfield’s St. Lucie Medical Park, which completed construction in 2008.